Think it Can’t Happen to You? It Can. Identity theft. It happens every single day, and you could easily be its next victim. Now that almost all of our personal information is somewhere on line, talented hackers can learn almost anything they might want to know, about anyone. Just a few months ago the Veteran’s Administration announced that thousands of names had been compromised due to carelessness on the part of one employee. It seems crazy to want someone else’s identity, but these thieves have some pretty strong reasons for doing it – almost all of them having to do with money. With your identity, the thieves can drain your bank account, use your credit cards, and even open new credit card accounts in your name – so the bills will be reported in your name, not theirs. Some of them steal multiple identities, so they can make a big haul and then disappear. Think about it – Using your identity, they can check “their” credit, identify accounts you aren’t using, send a change of address to them, and request new credit cards. You wouldn’t even know a charge had been made, because the bill would be going to a bogus address. And since you weren’t using the account, you wouldn’t miss the bill. These people are without conscience – they don’t care what kind of havoc they wreak in your life. They don’t care if they leave you destitute, destroy your credit, and leave you in legal entanglements for the next few years. One precaution is to freeze your credit report, but that isn’t a practical solution for everyone. The next best thing is to keep a constant watch on your credit report, so you can know right away if someone is trying to obtain credit using your name. You can do this by checking your credit report regularly, watching for new account activity, address changes, collection accounts, credit increases or inquiries, etc. It’s a tedious job, and one you must perform regularly, because early detection is the key to stopping a financial loss before it becomes devastating. The more convenient alternative is to sign up for a monitoring service. But even then, be careful. Check to see that the service you choose monitors all 3 of the major credit reporting companies, and that they do it frequently enough to nip trouble in the bud. Some even provide identity theft insurance – to protect you in the event that they make a mistake and overlook the early warning signs of a thief. As with all services, some are better than others, and some are downright scams. Ask questions, read the fine print, and then choose a company to set your mind at rest. 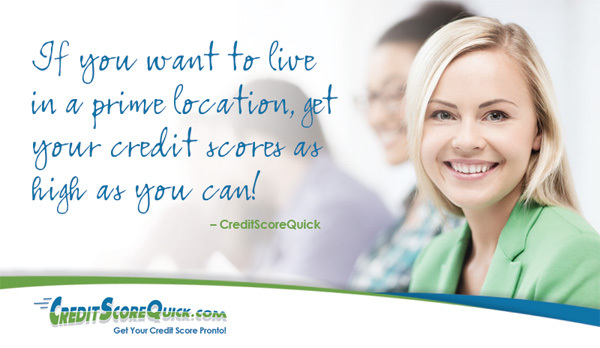 Not only will you be able to get on with your own life, a good credit report monitoring service will get you in the right direction. This is one of those do-it-yourself projects that’s better left to the experts. You are currently browsing the archives for the credit report monitoring category.